Y’all. 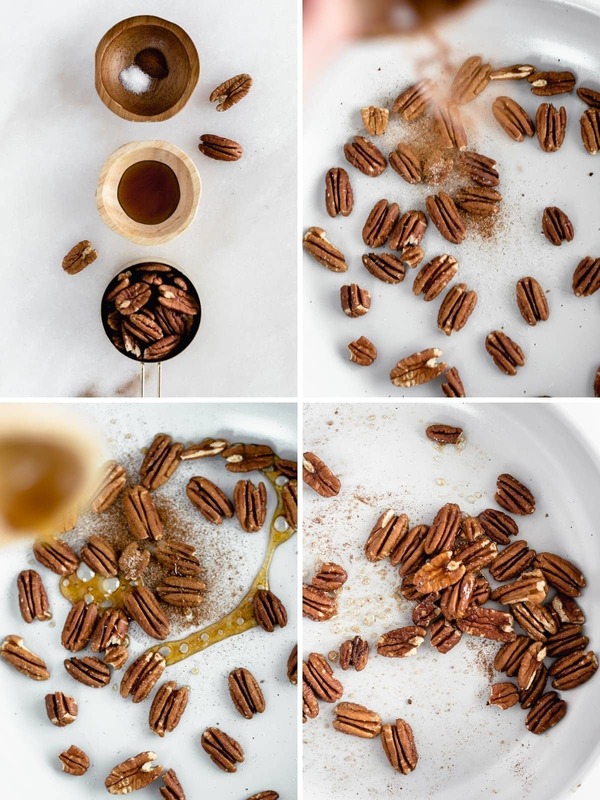 These 3 Ingredient Candied Pecans are AH-MA-ZING. I can’t resist the smooth, nutty taste of toasted pecans, but these candied pecans are on a whole other level. All by adding just a bit of maple syrup and a dash of cinnamon. They are the perfect snack for the holidays or garnish on just about anything from oatmeal to roasted veggies. Who knew these sweet, crunchy gems were SO easy to make? It literally takes about 5 minutes and hardly any effort at all. And they taste So. Dang. Good. 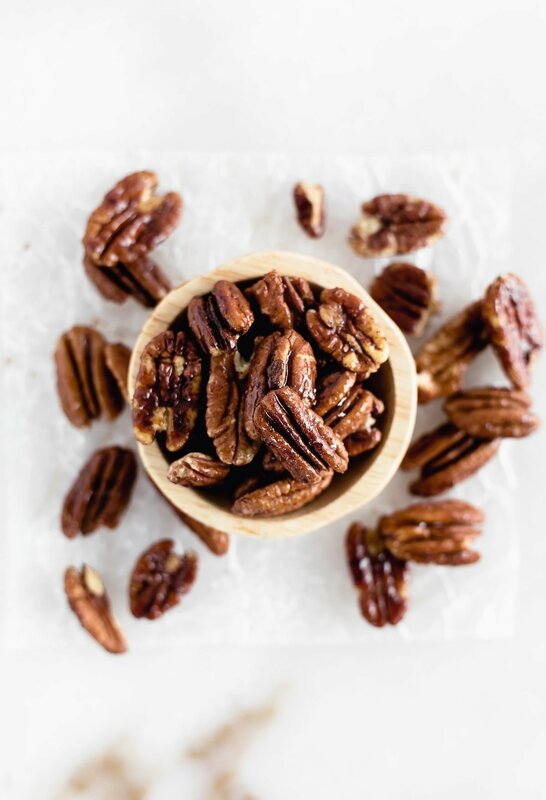 Just toast the pecans, stir in maple syrup and cinnamon and let them harden for a few minutes, and you’ve got the most irresistible pecans to get you in the mood for all things fall. These 3 Ingredient Candied Pecans first appeared on the blog in Mel’s Granny Smith Salad with apples and blue cheese (such a yummy combo), but since then, I’ve been using them in all kinds of salads to add just a bit of addictive crunch and sweetness, especially delicious in fall salads. 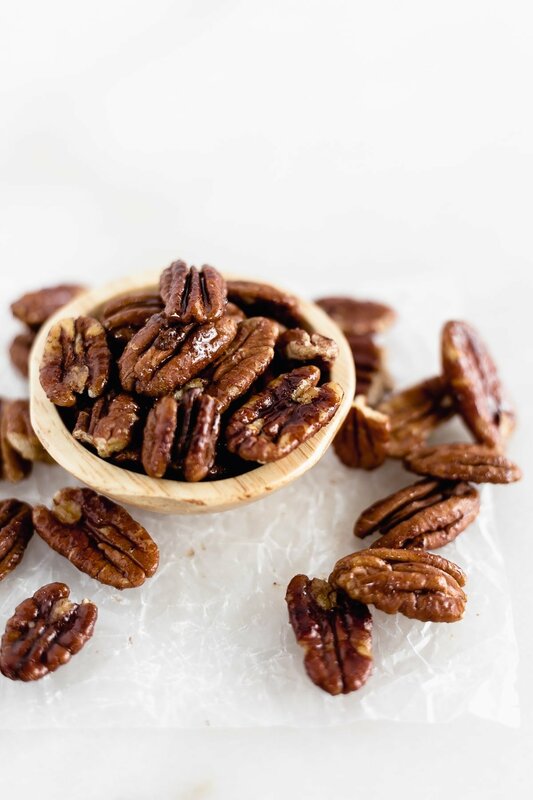 3 Ingredient Candied Pecans also make a great last-minute gift for teachers, hostesses, and anyone else you want to show a little love. Dress them up in a cute jar, and you’ve got the yummiest holiday treat around! Enjoy! In a nonstick skillet*, toast pecans over medium-low heat, stirring every few minutes. Turn off heat and stir in maple syrup and cinnamon. Spread pecans over parchment or waxed paper to cool. 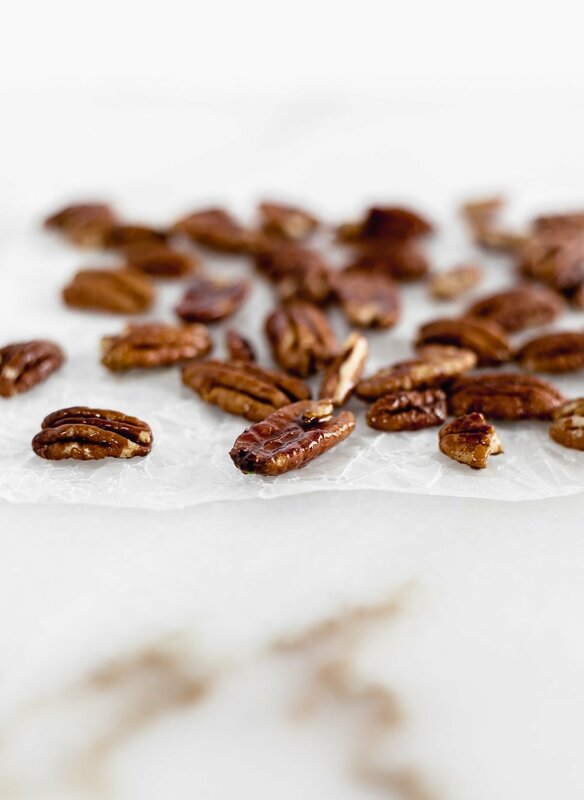 Pecans will harden as they cool. *I highly recommend a nonstick skillet for this recipe. Otherwise, you’ll end up with a sticky mess.